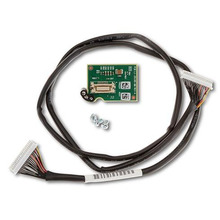 LSI00299 Lsi Logic 9206-16E 6GB 16 Port PCI-Express 3.0 X8 SAS/SATA Host Bus Adapter. New Retail Factory Sealed With Full Manufacturer Warranty. LSI00260 Lsi Logic Remote Battery Kit For LSIIBBU06, LSIIBBU07 And LSIIBBU08. New Retail Factory Sealed With Full Manufacturer Warranty. LSI00392 Lsi Logic SAS (2) 8 Internal Ports PCIE 3.0 Syncro Raid Controller 9271-8i With Lsi Fastpath. Cachecade 1.0 & Cachevault Read Only And Internal Connectivity. New Bulk Pack. LSI00202 Lsi Logic 9260-8I Megaraid 8Port PCI Express X8 512MB SAS Raid Controller Card With Battery And Short Bracket. New Bulk Pack. 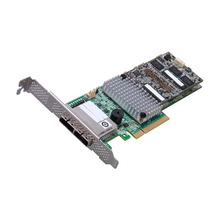 LSI00212 LSI Logic Megaraid PCI Express Low Profile 512MB 8 Ports Internal SAS Raid Controller Card. New Bulk Pack. LSI00333 Lsi Logic SAS 8 External Ports Raid 0/1/5/50/6/60 PCI-EXP3.0 X8 1GB DDRIII, MD2, No CBL w/CacheVault/SW/LP Bracket 9286CV-8e SGL. New Bulk Pack. LSIIBBU09 Lsi Logic Battery Backup Unit For Megaraid SAS 9265 And 9285 Series Controllers. New Bulk Pack. LSI00328 Lsi Logic SAS 4 Internal Ports Raid 0/1/5/50/6/60 PCI-EXP 3.0 X8 1GB DDRIII, MD2 No CBL W/SW And LP Bracket Box ROHS. New Retail Factory Sealed With Full Manufacturer Warranty. LSI00244 LSI Logic LSI SAS 9201 16i 6GB 16 Port Int PCI E 20 X8 SAS SATA Controller. New Retail Factory Sealed With Full Manufacturer Warranty. LSI00165 LSI Logic PCI-X 8 Ports SAS With SW And LP Bracket Raid Controller. New Retail Factory Sealed With Full Manufacturer Warranty. LSI00260 Lsi Logic Remote Battery Kit For LSIIBBU06, LSIIBBU07 And LSIIBBU08. New Bulk Pack. 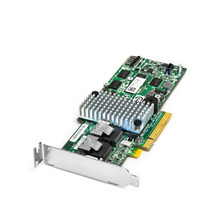 LSI00305 Lsi Logic SAS 4 Internal Ports Raid 0/1/5/50/6 PCI-EXP X8 1G DDRIII MD2 w/ Optional of BBU09/CVM01 No CBL W/SW And LP Bracket Box Rosh. New Retail Factory Sealed With Full Manufacturer Warranty.